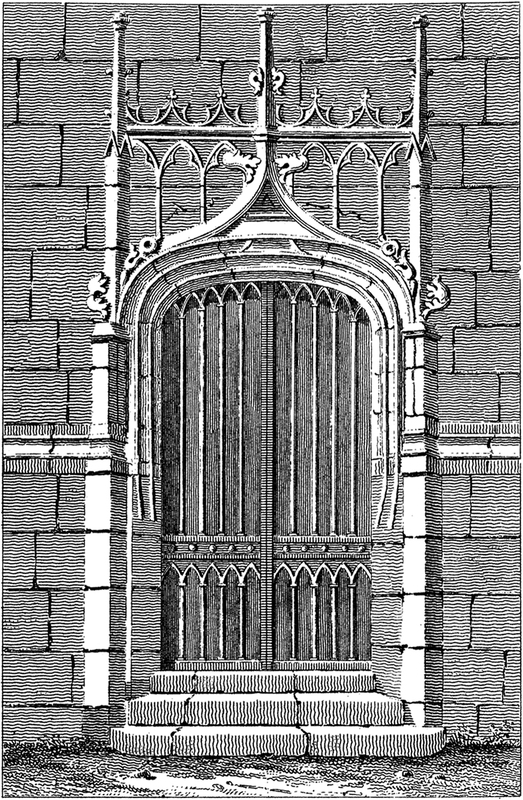 This is an Antique Gothic Door Image!! This Antique Engraving was scanned from an Antique Architectural Book. It shows a beautiful Arched Door, with all kinds of ornate carvings on it, set in a Stone Building. Vintage Beach Child Image Free Crusty Crab Image Old Black and White Palm Woodcarving Clip Art! « DIY French Accent Table – Reader Tutorial!